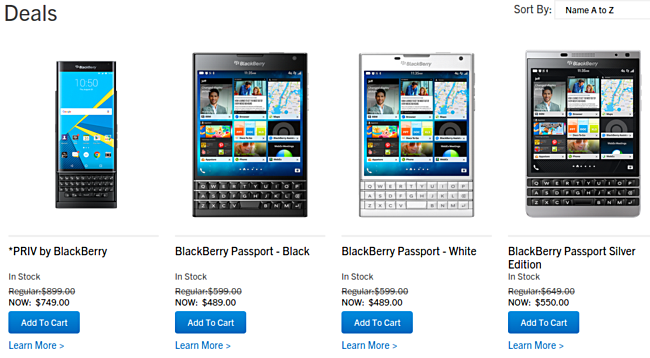 For a limited time, BlackBerry has slashed the prices of its Priv and Passport smartphones in Canada. While the company's debut Android smartphone has received a CAD 150 price cut, Passport's price is down by up to CAD 110. This means that the Priv is currently officially available for CAD 749, while Passport is going for CAD 489 (Silver Edition costs a bit more at CAD 500). The promo runs until July 12, so you have sometime to decide whether or not it's worth availing any of these deals.